Although this guy wasn't an actor in Doctor Who, I think it would be good to pay respect to such a wonderful man! For those of you who don't know (and if you didn't then honestly, why didn't you?) 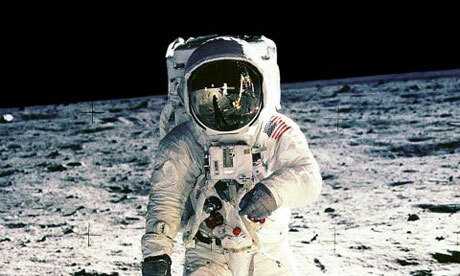 Neil Armstrong was the first man to step onto the Moon in 1969. He will be most known for his famous line "It's one small step for man, one giant leap for Mankind." Neil Armstrong, who turned 82 on August 5, 2012, underwent surgery 2 days later on August 7 2012 to relieve blocked coronary arteries, despite the surgery, however, Armstrong died earlier on today, August 25 2012. Actually, testimony by Neil and analysis of the recording has revealed that he actually said "One small step for 'a' man". And when you think about it, that actually makes a lot more sense.